Despite Criticism Of Claims, Trump Seeks Investigation Into Voter Fraud In a tweet, President Trump called for a major investigation into voter fraud. But some election experts say there's no evidence to back his claim. President Trump called for a major investigation into voter fraud on Wednesday. This comes after widespread criticism of his unverified claim that up to 5 million people voted illegally. After widespread repudiation of his claim that millions voted illegally in November, costing him the popular vote, President Trump tweeted Wednesday that he plans to call for a major investigation into voter fraud. But the president has not provided any evidence of such a massive fraud. The overwhelming majority of election experts say this is because it doesn't exist. Part of the controversy is President Trump's use of the word "fraud." In his tweet, Trump says he'll ask to investigate those who he calls illegal, those who are dead but still registered to vote, and those who are registered in two states. 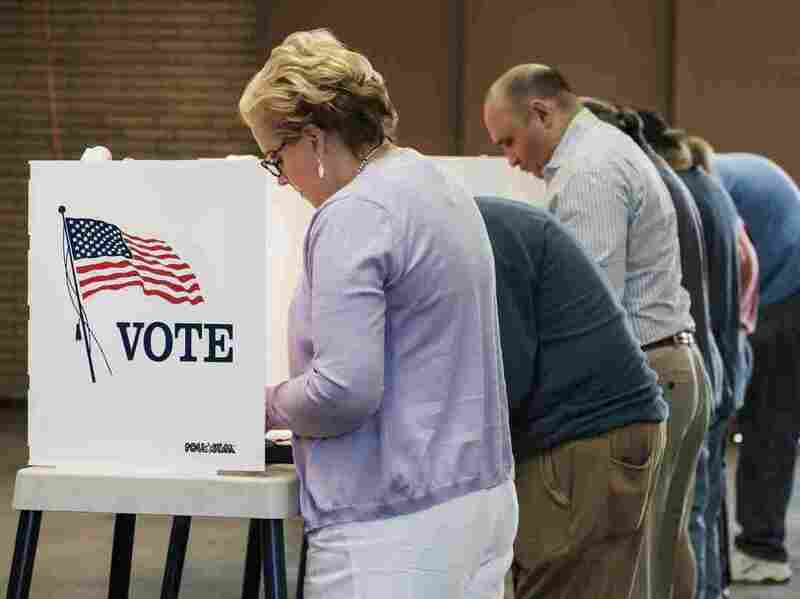 "That's not voter fraud, that's just people moving and never thinking to cancel their voter registration in their old state," says David Becker, author of a 2012 Pew report about the need to clean up state voter registration lists. It's a problem, Becker says, but not evidence people are voting illegally. The same is true of the dead people still on the rolls. Trump and the White House have cited Becker's report repeatedly to back claims that fraud is rampant. But Becker said that's not at all what his study found, and neither have numerous other investigations, including one by the Justice Department under former President George W. Bush. "We know the answer to the question, 'Is there widespread voter fraud in the country?' " Becker says. "And the answer is no." Still, White House press secretary Sean Spicer defended the need for a new investigation Wednesday, saying it would help ensure everyone's vote is counted equally. "I think we have to understand where the problem exists, how deep it goes and then suggest some remedies to it," he says. And one of those remedies might be more voter ID requirements, Spicer said. He didn't say who would conduct the inquiry but did say more details would be available later this week. These accusations have the people who run elections — and believe they're doing a pretty good job at it — extremely unnerved. Denise Merrill, Connecticut's secretary of state and president of the National Association of Secretaries of State, is one of these people. "I can tell you that, as a nonpartisan organization, I think there's a pretty uniform sense that any federal intervention into essentially local elections would not be welcome," she says. Especially, she says, because there's no need. The secretaries group, which includes Republicans and Democrats, issued a statement Tuesday saying that it has no evidence to support the president's claims of fraud. Merrill also notes that states are constantly working to update their voter rolls. There are protections in the law to make sure no legitimate voter is accidentally removed. She worries Trump's remarks undercut public confidence in a system that, for the most part, works very well. "I think its very dangerous to start claiming with no evidence that our elections are illegitimate," she says. Even more alarmed are voting rights advocates, who worry the investigation will be used to justify new voting laws and will restrict access to the polls. "This is a setup for a few things, one of which is potentially moving a federal bill on voter ID or proof of citizenship in order to vote," says Judith Browne Dianis, executive director of Advancement Project, one of several groups that have spent the last few years fighting such laws in court. "It could also be an opening for attacking the National Voter Registration Act." Motor Voter is a law that makes it easier to register when getting a driver's license. Some Republicans, including some in the Trump administration, think that long-standing law has helped to facilitate voter fraud. But after his Twitter call to action, people must now wait to see how the Trump administration decides to proceed.